The spring season is a beautiful time of renewal and rejuvenation. We draw upon the lessons of new life as the grass becomes green once again, and new life begins to poke out of the earth. We recognize and meditate upon the start of the cycle of life, and how it informs your own coming back to life after a long winters rest. In a sweet valley surrounded by the mountains and flowing waters, Divinessence is the perfect place for your spiritual respite and revealing. Like a womb, the center will afford you a nurturing and well-held container for your growth. 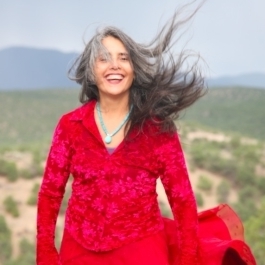 Your week of emergence will be guided by the presence-filled shamanic guide Visudha de los Santos in personal inquiry, movement practice, 5Rhythms movement, meditation, ritual, nature-based exploration and personal healing.